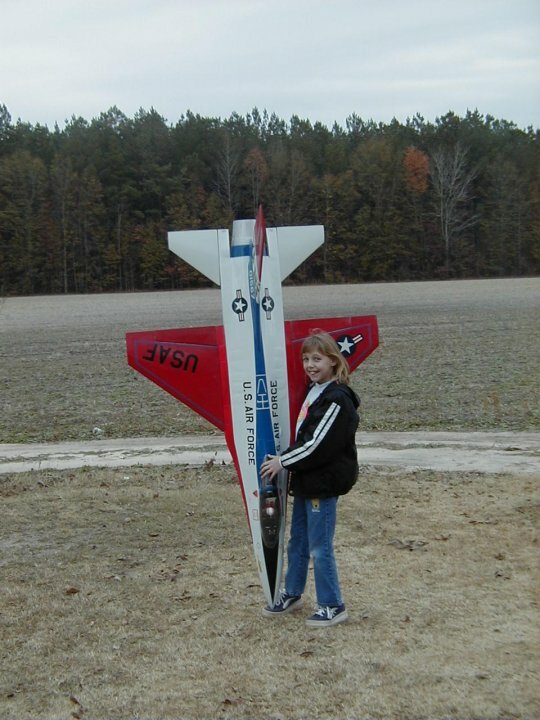 Need a manual for the Byron F-16? 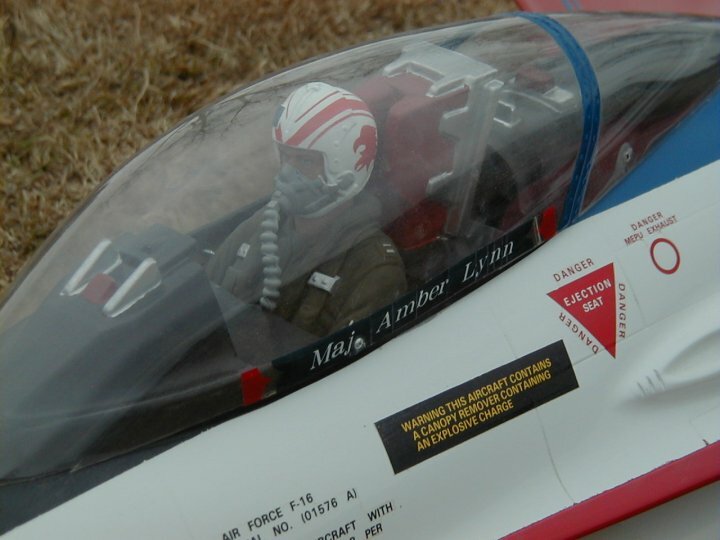 The Byron F-16, know for it's super "trainer" type flight characteristics, was a great first time ducted fan jet for the person wanting to get into jets. It wasn't known for high speed, although 110 mph was pretty common for them to fly, but the slow flight was great. 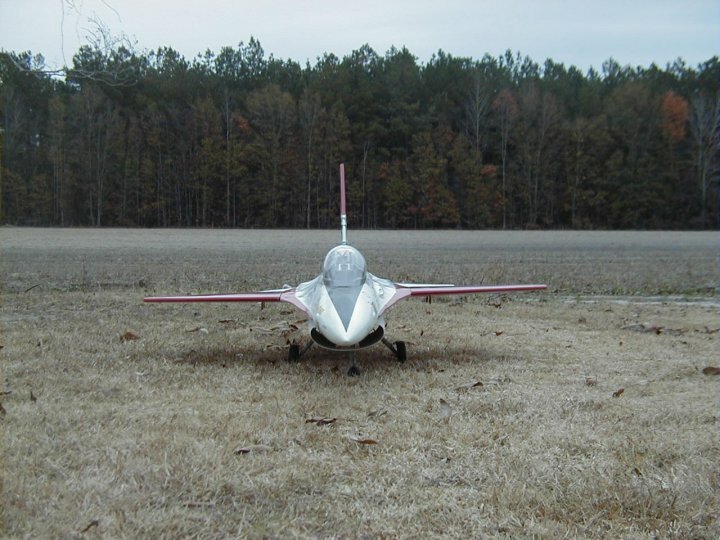 They were able to slow down to just above a walking pace for landing and with a nose high attitude, landings could be made and the roll would only be a few feet. 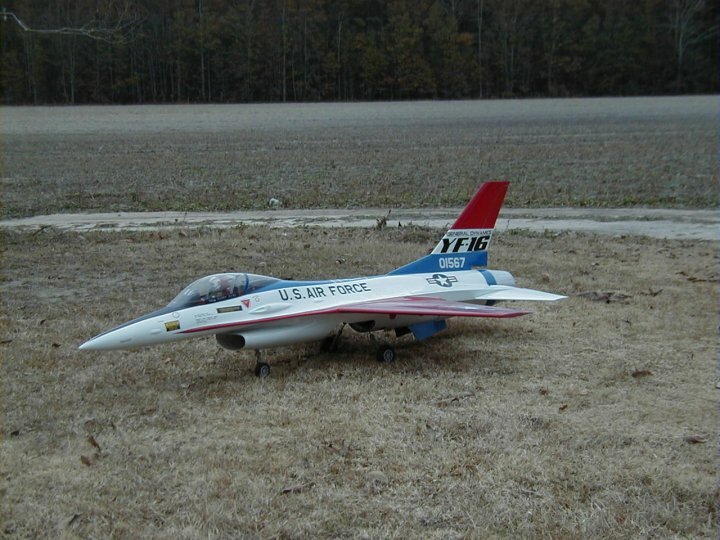 This one is powered by the OS 77DF and turns the Byron fan unit to produce about 14 pounds of thrust. 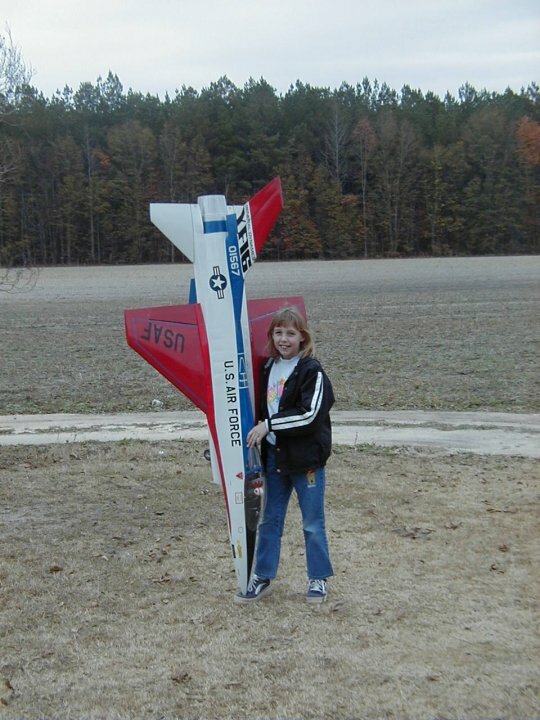 That gives me about a 1 to1 thrust to weight ratio as the plane itself weighs just under 14 lbs. 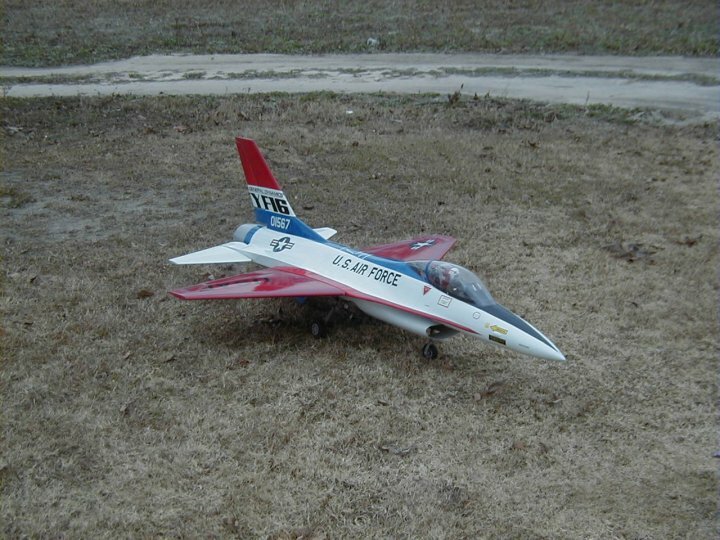 Byron Original's quit producing model airplanes but these kits are still pretty readily available on swap forums in the R/C hobby. Spanning 48 inches with a length of 73 inches, this is by no means a small model. 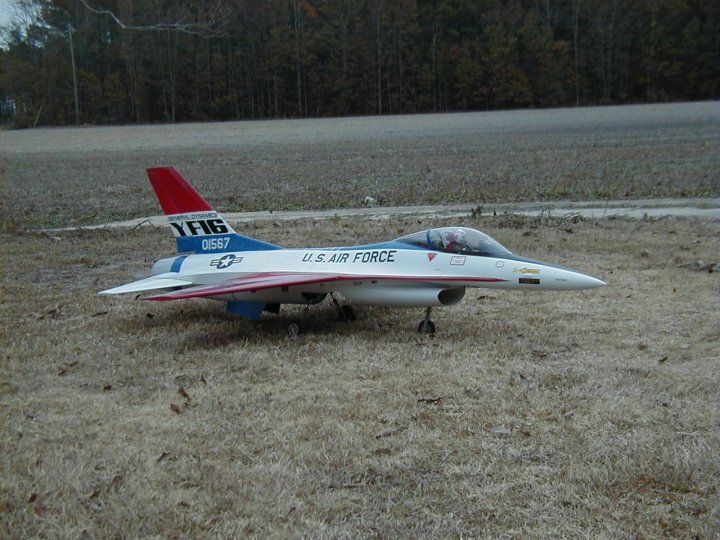 Mine is done in the General Dynamics paint scheme and includes retractable landing gear.